a large dog with a distinctive elongated, flat head and nose. There are two varieties, the rough-coated (longhaired) and the smooth-coated (shorthaired), which are regarded as separate breeds in the United Kingdom. In the more common rough Collie, a thick, long coat forms a ruff or mane around the neck and front of the chest. The breed originated in Scotland as shepherd's dog and the rough-coated variety is also called a Scotch collie. The breed suffers from inherited abnormalities in eye development, collectively called collie eye anomaly, inherited epilepsy, hemophilia A, patent ductus arteriosus, cerebellar degeneration and cyclic neutropenia. It is also predisposed to nasal solar dermatitis (so-called collie nose). Collie (smooth), blue merle color. see collie eye anomaly (below). an autosomal recessive inherited trait which results in incomplete closure of the embryonic fissure; seen almost exclusively in Collies, Border collies and Shetland sheepdogs. Associated defects include scleral ectasia, coloboma of the optic disk, retinal folds and detachment, and microphthalmia. Called also collie ectasia syndrome. a depigmenting, crusting dermatitis of the planum nasale, adjacent skin on the dorsum of the nose, and sometimes lip and eyelid margins. Occurs most commonly in sunny climates and in individual dogs with the greatest exposure to sunlight. 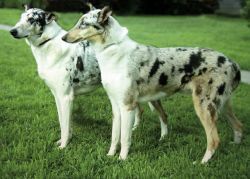 Once believed to be a breed-specific disorder related to the long nose of collies, it is now known that several diseases produce similar clinical features and in many breeds. These include discoid and systemic lupus erythematosus, pemphigus erythematosus and pemphigus foliaceus, as well as solar dermatitis. Cllr Norman Collie hopes other cities will follow Aberdeen's example. A police spokesman said: "The offenders discharged the shotgun at the collie dog. Shep, Blue Peter's Border Collie, who left the children's programme when presenter John Noakes quit in 1978 because the pair had become inseparable, took third place. The work has been completed in line with the highest national safety standards, making the Collie Motorplex a major sports tourism drawcard for Collie and the South-West. Collie never yelled, never cursed and never verbally flayed anybody. MORE DRAMATIS PERSONAE: MEANS MORE OF "THE GUYS FROM BOMES IN THE BEARDED BARLEY." Proceeds benefit All Border Collie Rescue and Fosters of Blisswood. Certainly, the Border Collie is the 'poster breed' for this disorder, but dogs of other breeds are affected, so the results will likely have broader implications for canine health. Locals tried to corner the collie but he escaped into some nearby fields. The court heard that the 17-yearold victim was walking past Davies' property on October 1, when she heard barking, and a black and white border collie and a smaller dog rushed out of a property. The charity, established in 1976, has been involved in rescuing and rehoming border collies and collie crosses across the UK since its inception, and Ben has been involved in all areas of the operation over the past 18 years. In this study, the preliminary search for mdr1-1[DELTA] mutation in canines of the German Shepherd, Doberman, Greyhound and Border Collie breeds in Uruguay is carried out.